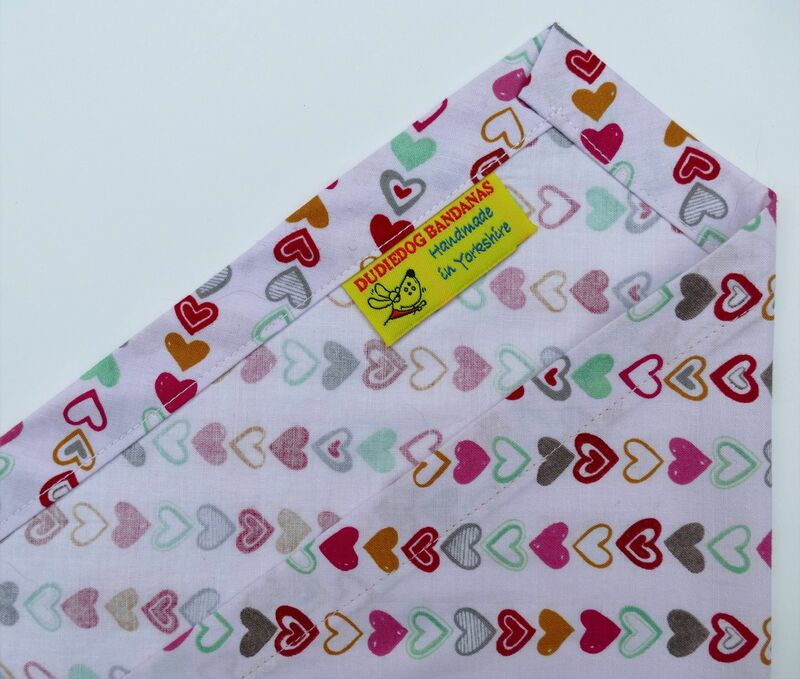 Your dog will feel very special and loved in this gorgeous valentine dog bandana! 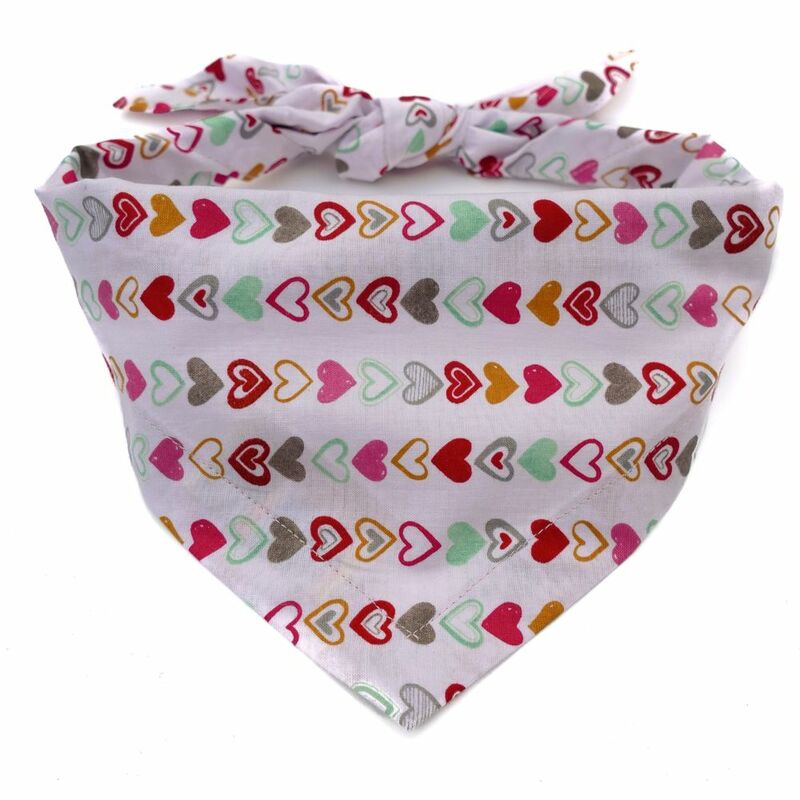 A lovely 100% cotton heart print Valentine dog bandana in the palest shade of dusty pink, with rows of little hearts in green, grey, ochre, pink and red. It's a really pretty print, and a great way to show your doggy friends just how much you love them! It's a great bandana for any occasion, and would make a perfect valentine gift. 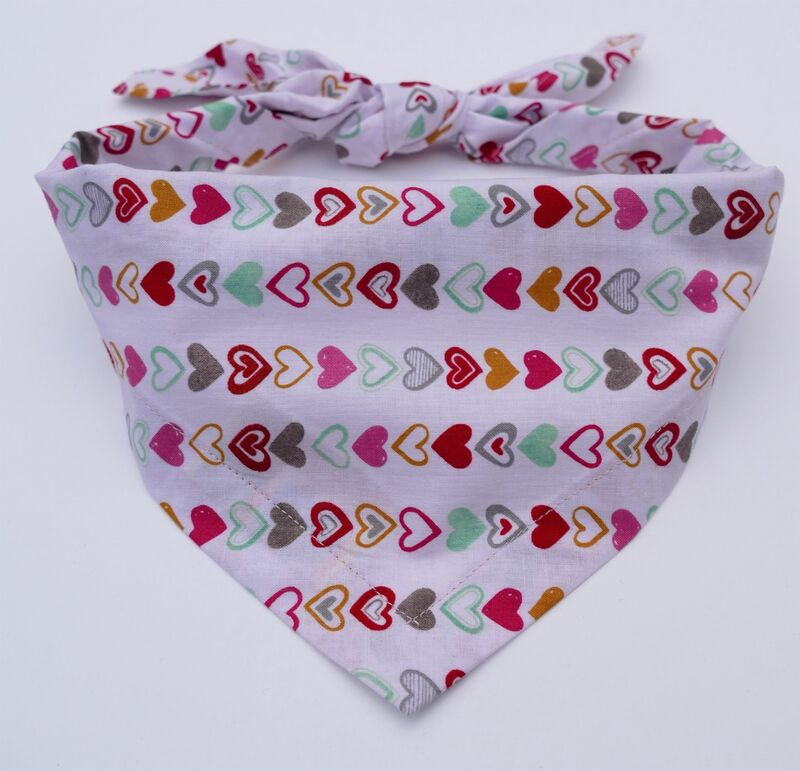 A gorgeous blue Love hearts bandana! The print is SO sweet, with a tiny check background!